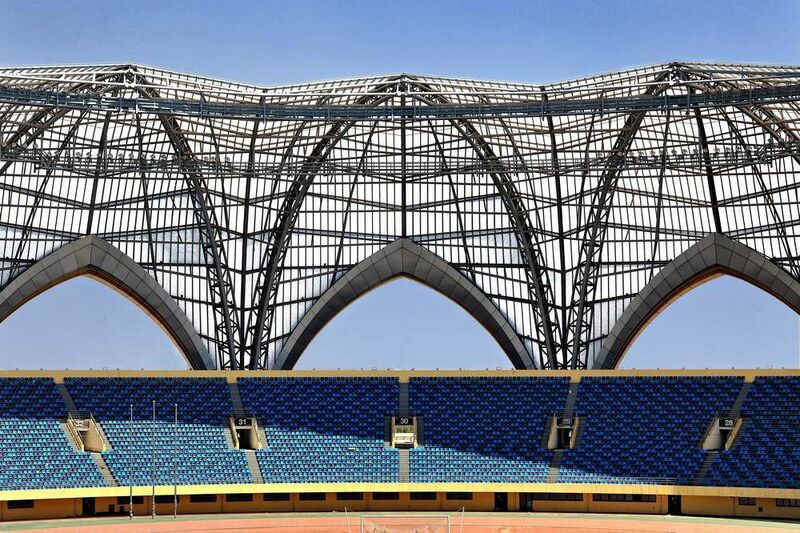 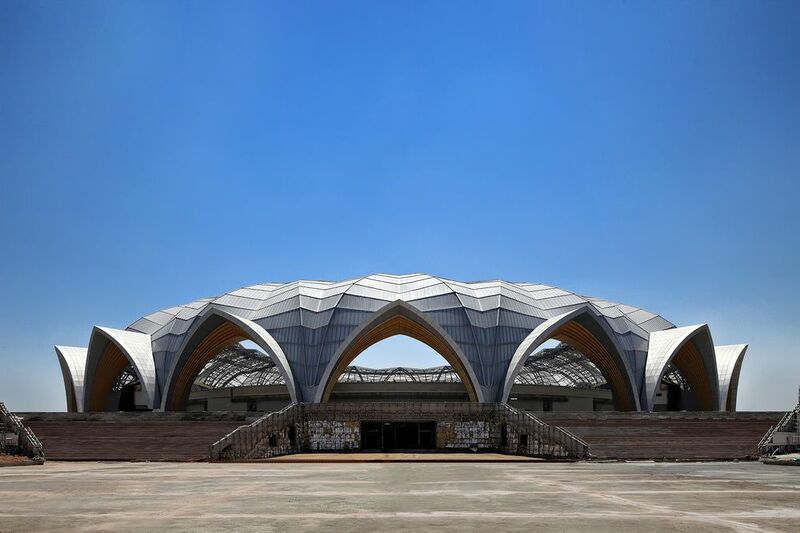 The uniqueness of this stadium in western Yinchuan (Xixia district) is its domed roof. 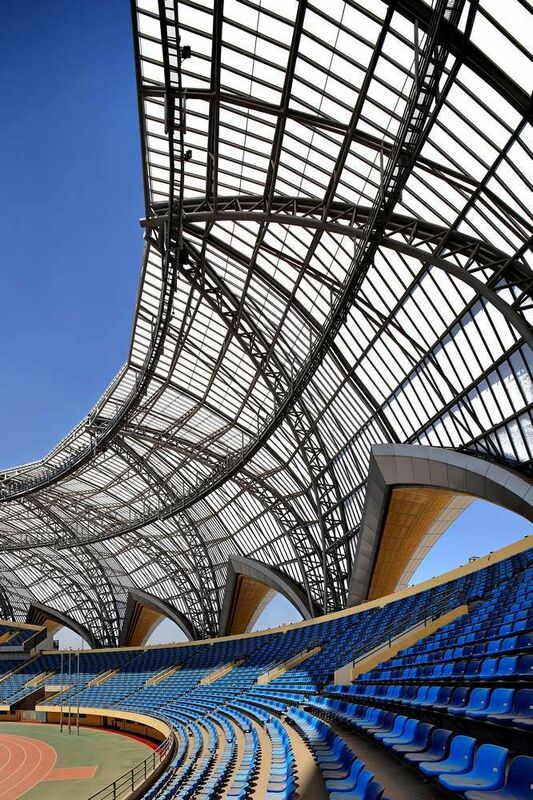 20 nearly identical segments create the high roof reaching the height of 46.5 meters. 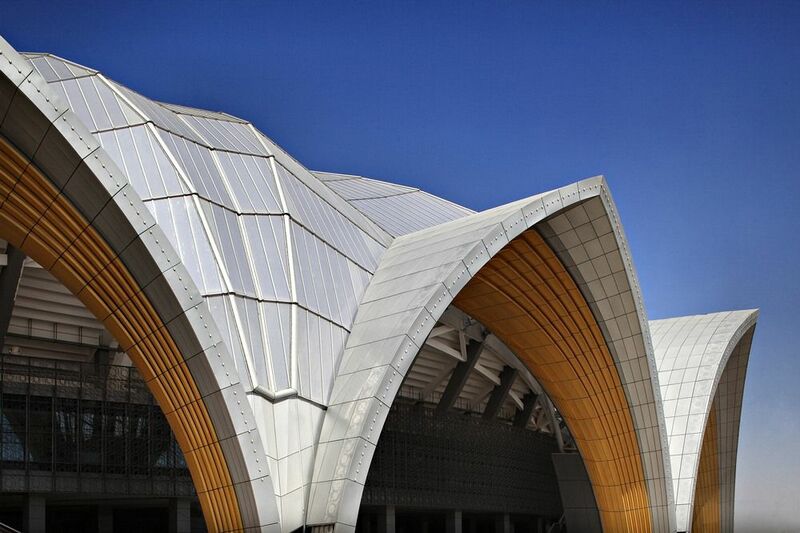 Covered with grey polycarbonate, the outer form has 20 large gates. 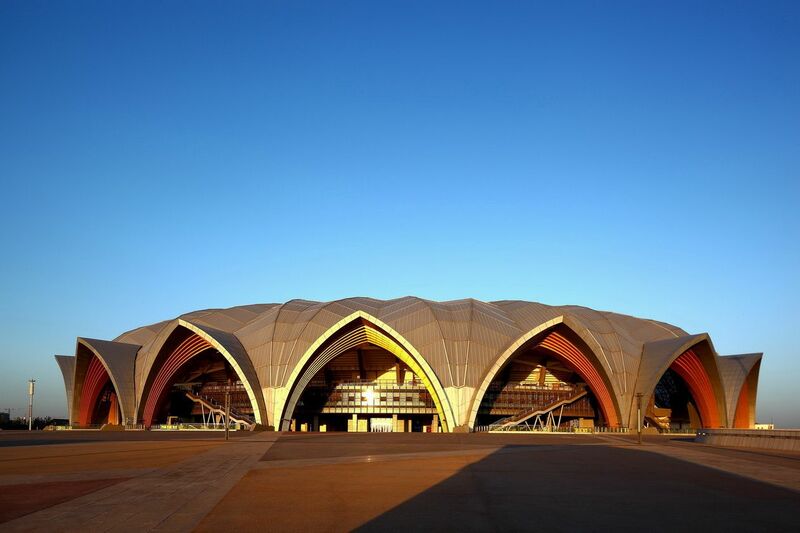 Their shape earned it the nickname of “Islamic” in terms of design. 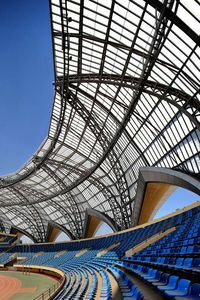 That said, the entire stadium sits on a large pedestal with cross-shaped blueprint. 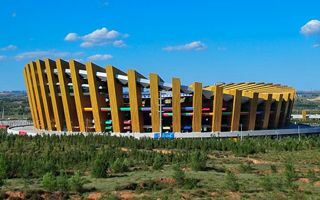 Regardless of the aesthetics, the stadium was named after Helan Shan, local mountain range.